Hello there friends! Hope everyone had a wonderful weekend. We were lucky to spend a lot of time outside & it was glorious! I was thinking of how soon it's going to be February and how I can't wait to be done with the cold weather, although there is no guaranteeing that February will be any warmer, but we can all hope! February is a fun month for us - it's Gary's birthday, my mom's birthday and Valentine's Day. While we haven't gone all out for the day in a long time, we still do little things to make it special without spending an exorbitant amount of money of anything! 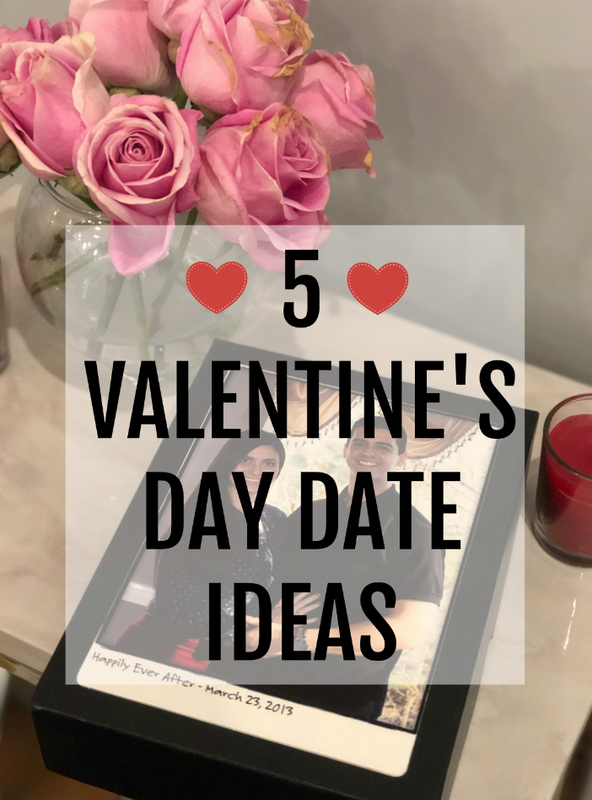 It's never too early to start thinking of some fun date ideas and I wanted to share some that we've done in the past and a couple that would be fun to try this year! I also wanted these to be all things that could be done on a weekday or weeknight because celebrating something little on the actual day is always fun! Last year Gary and I were both traveling the days leading up to Valentine's Day and when we were both home that night, he surprised me with lobster mac and cheese (my absolute favorite meal) from one of our favorite restaurants, but the best part was that we got to enjoy it at home. He picked up all the food earlier in the day and had set up it so that we had a little picnic in our living room! 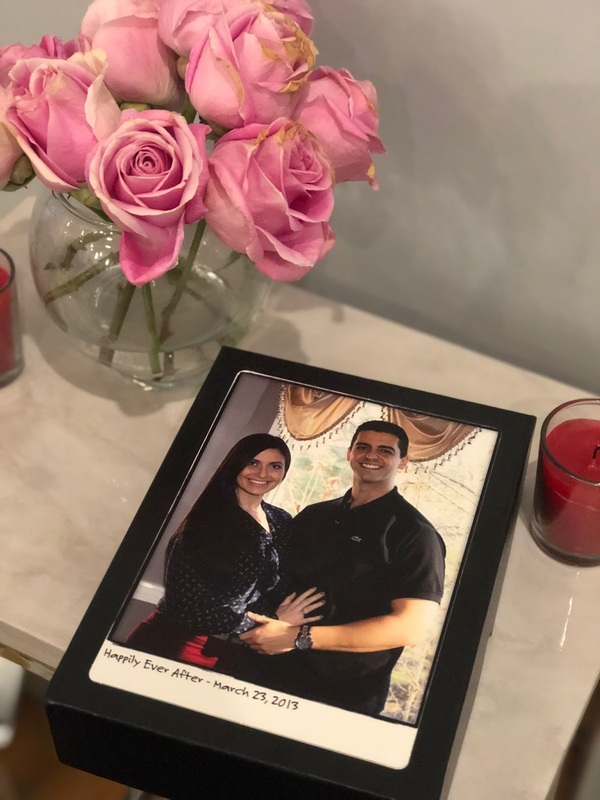 When we were engaged my sister had a puzzle created for my bridal shower. We kept it until Valentine's Day to put together and it was so fun to indulge in some wine and put the pieces in place. Shutterfly has really cute options and you can do a collage of photos or you can pick one. Since Valentine's Day falls on a Wednesday, you could enjoy a special full breakfast before work. I don't know about you guys, but the mornings are pretty chaotic for us and we usually only have time to say "have a great day" before one of us is running out the door. Even if it means getting up a little earlier so you could enjoy 15 extra minutes of a real breakfast together then it would be worth it. I'm not big on going to dinner on Valentine's Day. It's overcrowded, overpriced and it's a school night! I'd much rather meet up with Gary for a quick toast and make our way home. Right after work so it's not too crowded and before the dinner rush really starts. My favorite spot in Boston is City Bar in the Lenox Hotel. Admittedly I'm a terrible baker - if it's not banana bread then I just can't seem to make it work. These chocolate rice crispy bites look delicious! I wouldn't mind taste testing them this weekend just to make sure! Have you already started plotting out Valentine's Day or is this still to early to start thinking about? These are all such adorable ideas! You and Gary are going to have fun celebrating no matter what you do! These are all great ideas! I love the idea of having breakfast before work since Valentine's Day falls on a weekday. That puzzle is so cute, too! Happy Monday, Biana! All these are such great ideas! I love the idea of having your favorite meal at home, especially picnic style. Or beating the crowd and getting a quick drink! Such great ideas, I love the idea of having you favorite food brought home!! I think every day is Valentine's Day for you two sweetie pies!! Happy Monday! Now that I've read this, I actually think I want to do take out at home from our fav restaurant! That's such a great idea and you won't have to wait forever for a table and you can enjoy a quiet meal together. Thank you for this idea! I've put a little thought into the day and I'm so happy you shared these ideas because now I really like the eating our favorite meals in! J and I also bond over ice cream so I'll definitely buy him a sweet treat too! So happy about the Pats, hope you guys enjoyed the weekend! Oh I may have to make those rice crispy treats with the boys! They look so cute!! I love the photo puzzle idea! That is so cute! B and I used to put together puzzles all the time! Cute ideas! We're not big on going out on the actual day either. It's also just fun to cook at home! I'm with you: I'm not crazy about going out on Valentine's Day. Everything is so overpriced and crowded, and not to mention, paying for a babysitter on top of that is just all too much! We love eating a fancy dinner at home once the boys go to bed -- and I LOVE the idea of getting your favorite meal from your favorite restaurant! So much fun! These are great ideas for V-Day. Celebrating at home sounds romantic too. I can't believe it's already time to start thinking about Valentines day! I love all of these ideas! OOOOOOH that dessert looks so amazing!! Gonna have to try that! all super cute ideas! i'm not a big valentines day person and i agree that restaurants go a bit nuts on the overpriced dept! those desserts look awesome and easy - right up my alley ha. and yes to grabbing a drink after work. happy week! I love the little dessert ideas! We don't really love going out on V-Day either. I usually just think it's overrated haha but these are all such great ideas. Happy Monday! We are allll about the takeout for VDay! I love the idea of dessert and grabbing a drink too! And definitely puzzles! 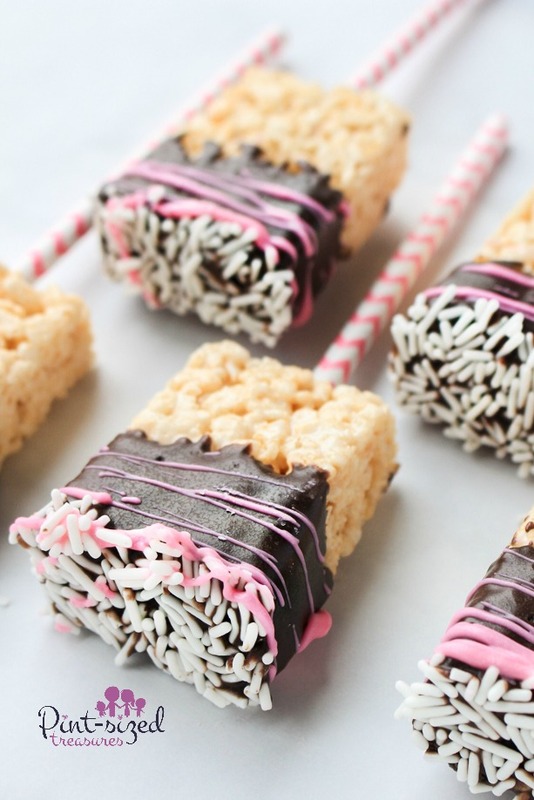 Those rice crispy treats look so good right now! We keep it pretty low key on vday and I usually just make a pan of homemade lasagna and we share a special bottle of wine or something. I love the idea of having breakfast that morning! We looove takeout! Especially now that the babe goes to bed so early it's the perfect way for us to be able to enjoy a nice dinner without having to rush! I love the idea of a cute, special puzzle! We have no plans for Valentine's Day yet, but we will more than likely take advantage of UberEats and have a date night in. oh that puzzle idea is brilliant!! How fun. Such cute ideas! Love this post! Valentine’s Day falls on Wednesday this year, which is pizza night in our house so I’m sure that’s what we will do! Ha! The puzzle idea is too cute. Loving these ideas! Such a fun holiday. I love the idea of a nice breakfast.. if V-Day were on the weekend or if I was a morning person, lol. We're keeping it simple with a nice dinner this year and no gifts. Lots of great inspirations here. Time to start planning! That little puzzle is so fun-- what a good gift idea for someone too! I love Valentine's Day, but we usually don't go out either, I love the idea of bringing your favorite food home though! Omg, that puzzle is such a cute idea! Thanks for mentioning it because it would make for the cutest wedding gift. We have some family getting married this summer, so I’ll have to look into that. I love that you waited for Valentine’s Day to put it together! And how romantic is Gary?! Love that he picked up your favorite meal from your favorite place and that you enjoyed st home. That’s something Eddie would do, too. 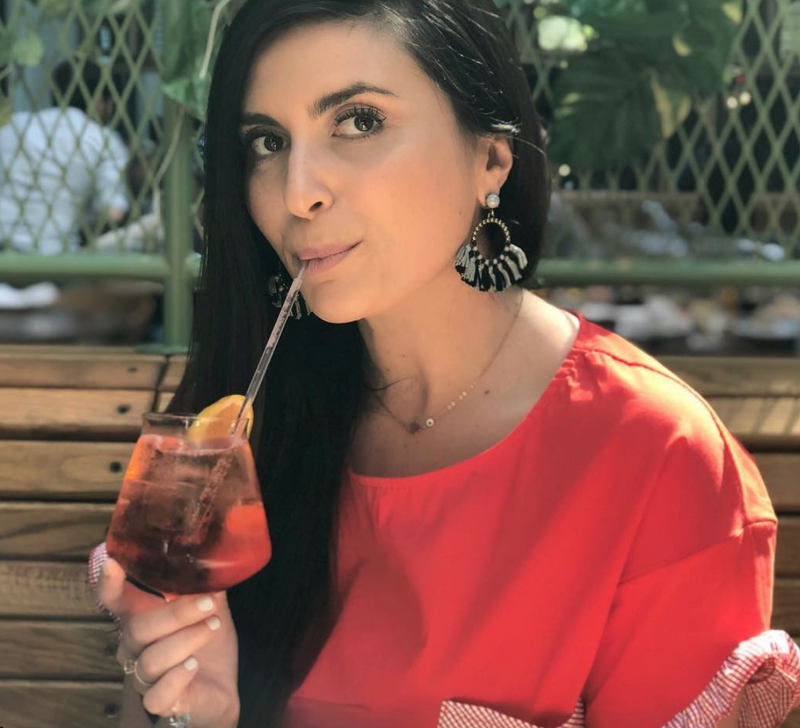 Thanks for sharing, beautiful, and I hope you’re having a great start to your week! fun post! great ideas! every valentines my husband and I do an indoor picnic! its my favorite! These are all great ideas! Valentine's Day is also Jared's birthday so we try to do a few celebrations that week to celebrate both! theses ideas are great ! I especially love the idea of the puzzle. That puzzle idea is so cute. I think I will do that. I also think those treats look so good. So many cute ideas for making February special! I love doing more thoughtful little things for Valentines day instead of spending a ton of money! The puzzle idea is adorable! Those rice krispies look delicious. I love the low key ideas! Grabbing a drink after work and catching up is our kind of style....definitely not going to brave the dinner lines. Dinner at home with some yummy dessert is perfect! We are not really Valentine's people. We usually have dinner at home and dessert. I love these ideas! Breakfast or a happt hour are way better than going out to dinner with all the hype! We had a little bit of warm weather this weekend and it was so nice! I forgot how good it feels to be outside! We don't typically celebrate Valentine's Day, but maybe I'll surprise him this year with a fun little treat like the Rice Krispie treats! I LOVE day dates- they are so fun. Having a drink and doing something at home are such great options! Love love love this post dear!! Such great ideas for Valentine's Day! I especially love the breakfast before work! I'm a big fan of drinks of v-day and saving dinner for another day when it's less crowded! These are good ideas. The breakfast before work idea sounds good. Awww, the puzzle is adorable. Love that. 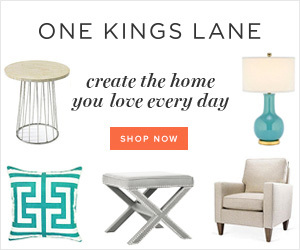 I love the idea of bringing your favorite restaurant home. I feel like this winter has been really mundane so all these ideas seem like good ways to add some excitement to it. lol.